Internet Marketing Graphics Packs - Original Graphics! Why Should you Use Graphics Packs? 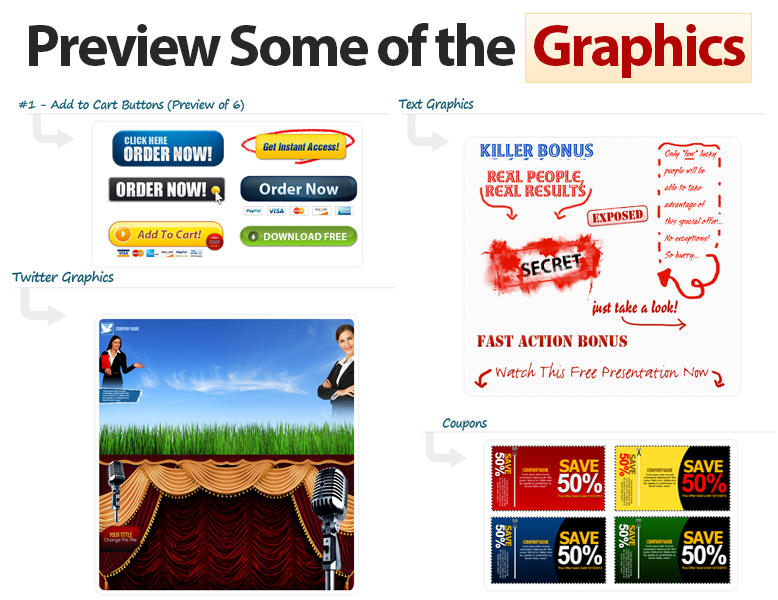 Easily spice up any web-page to boost conversions and sales with our 7Graphics internet marketing graphics pack. By just to adding some professional graphics … you can completely change your online image. This is now easy to do once you gain access to one of the best graphics design packs online! What is included in the 7 Graphics Design Pack? Over 1000 High Quality graphics for download including source files: .PSD and .PNG for easy editing. 39 website and marketing design categories, with everything graphic related that you are likely to need if you are an internet marketer or entrepreneur (these can even be used if you create for clients). This graphics pack can help anyone to get started on the Internet, particularly those who do not have the skills to create and design their own flyers, websites, squeeze pages, logos and all of the necessary marketing graphics. Below you will see a few of the graphics and items that can be found in this amazing graphic pack. 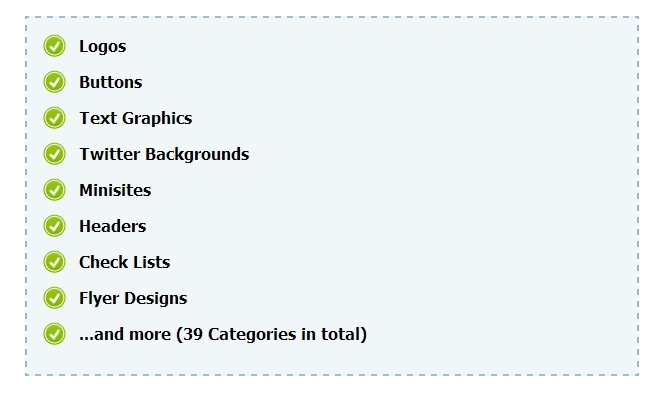 There are 39 Categories with a total of 1090 Graphics and Items in our Graphics Pack that will cover most needs! Using some of these website graphics can BOOST your Conversions and Sales! Stop spending large amounts of money on outsourcing to create great internet marketing graphics! Make your websites, blogs and pages look absolutely stunning! Excellent value for money, the beautiful graphics really made my website stand out. Awesome High quality graphics at an unbeatable price. WOW… there is a lot to go through in this graphic pack. Very impressed.